NOKU MALDIVES - A NEWLY RENOVATED RESORT ! 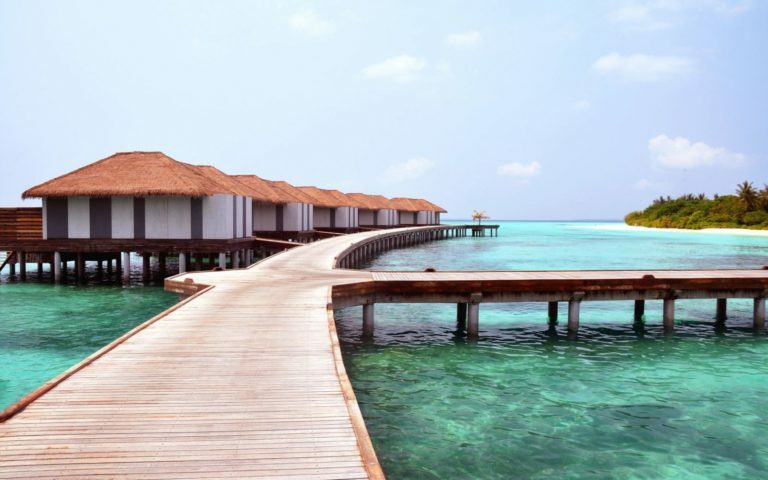 WHICH IS THE BEST RESORT IN MALDIVES? There is no straight forward answer to this, as it depends on budget, occasion, location and even promotions etc. 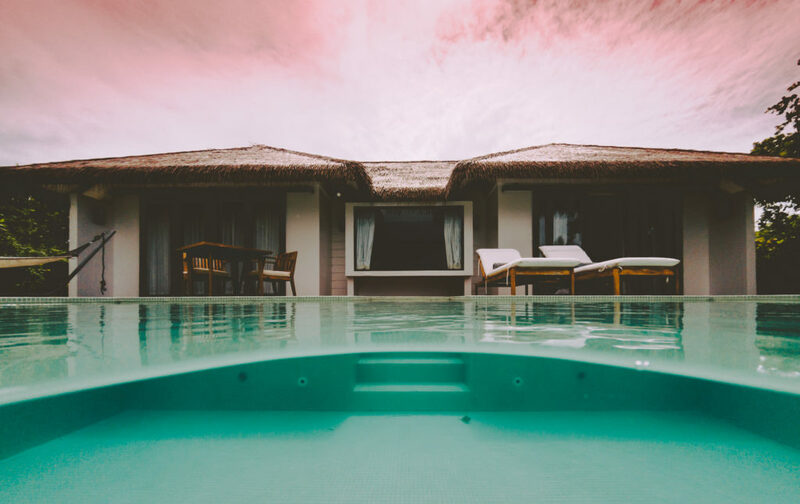 We at The Lazing Wanderer has kicked start a series of blog to introduce briefly on different resorts in Maldives. 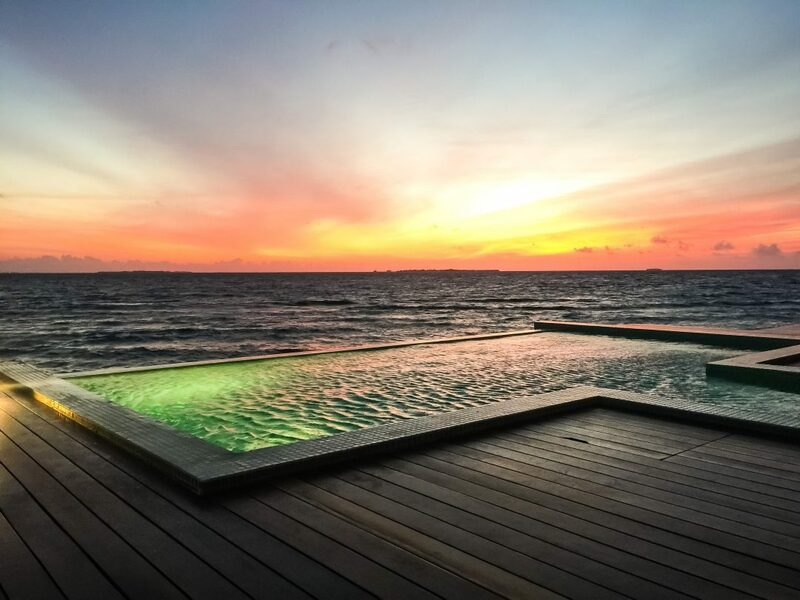 Now, fasten your belt and get ready for Noku Maldives – A Hidden Gem in Maldives. 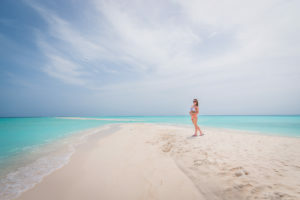 Do read on to find out more about Noku ongoing Maldives Packages which includes seaplane transfer ! 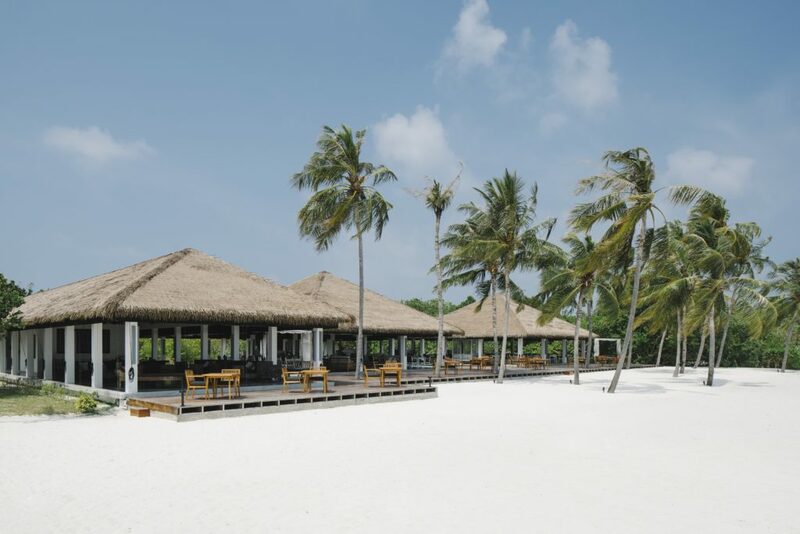 Noku Maldives is 50mins seaplane away from Maldives airport and is located at the heart of Noonu Atoll. 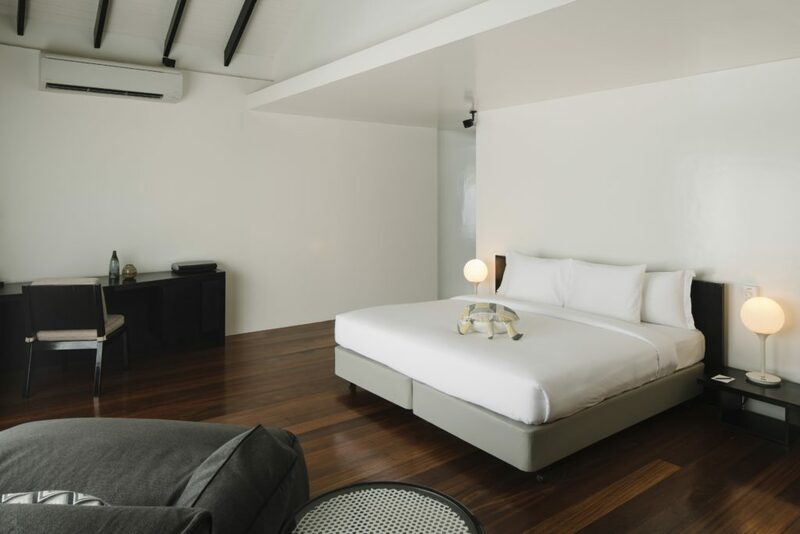 Acquired by Singapore’s Roxy Pacific Holdings and managed under the Roxy brand of hotel chain, it recently open it doors to public. The management places effort to focus on environmental initiatives, giving back to the community and social responsibilities. Recently they have donated desks to a local school, they even participated and supported educational projects like planting of trees, building of garden just for schools etc. 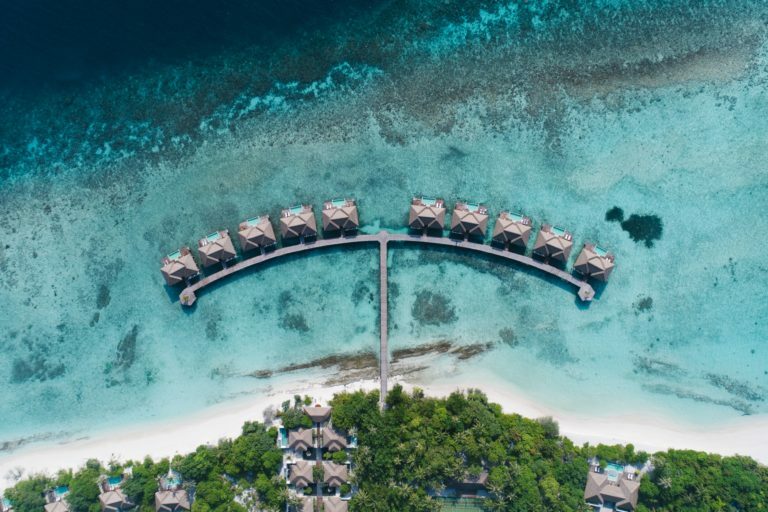 Noku Maldives also partnered with a local diving center on a project – Sub Oceanic and the objective is to educate guests on proection of life underwater. 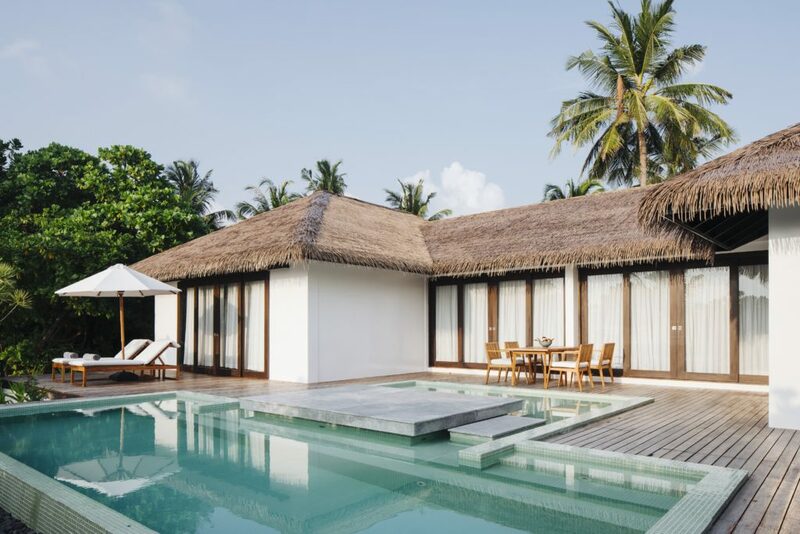 Noku Maldives has also “refused” the use of single plastic packaging by putting coffee, tea, sugar in airtight glass containers. In time to come, they will not be provided with plastic straws too. 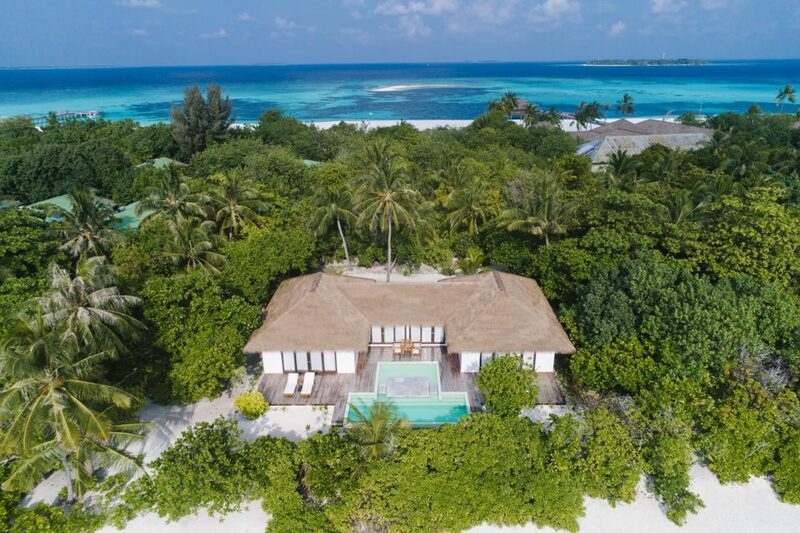 Nestled amidst luscious tropical greenery and enveloped by a peaceful blue lagoon are 20 beach villas and 30 over-water villas. 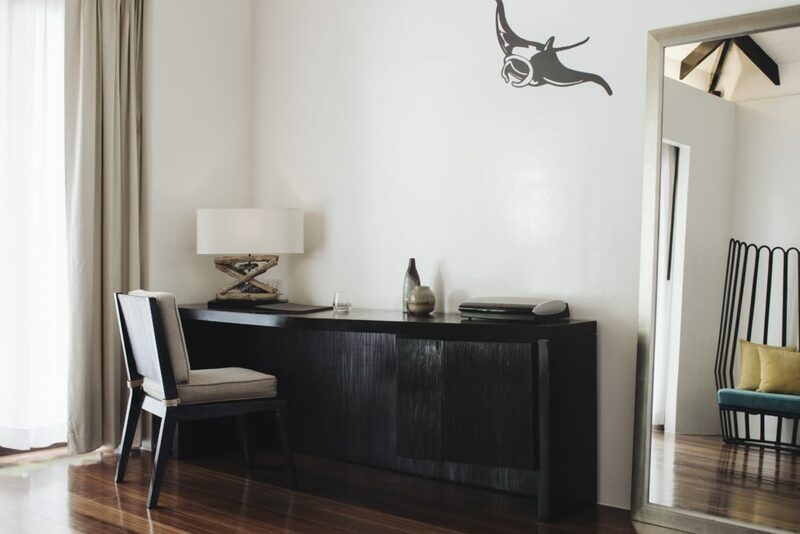 Each spacious unit is designed to offer utmost privacy and fitted with modern amenities to provide comfort. 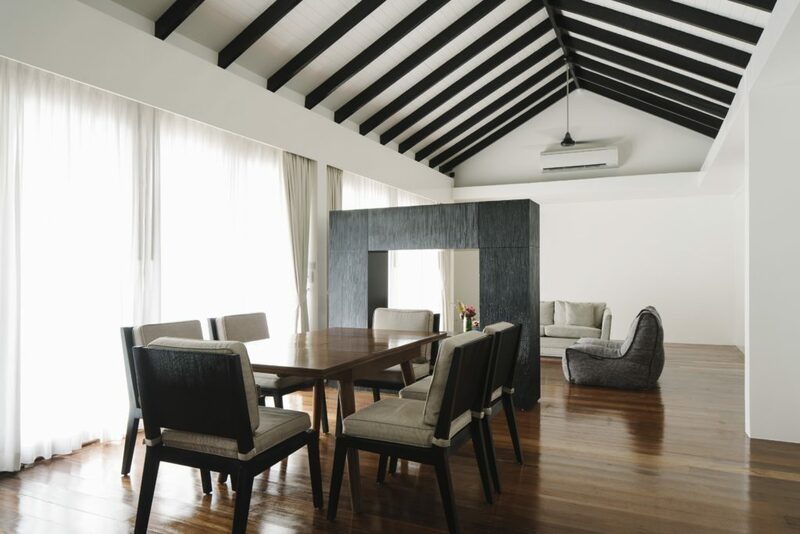 The refined elegance of each villa with its soft white hues and dark wood accents complement the beauty of nature seen through large bay windows and french doors. 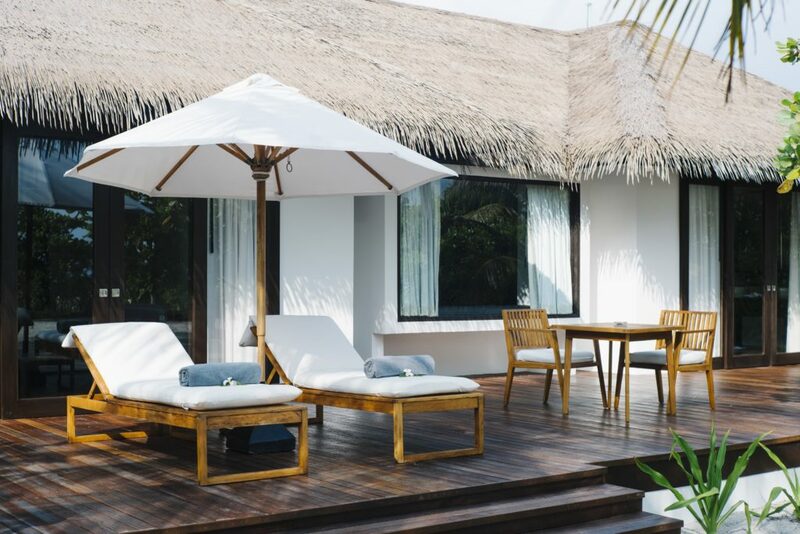 There are 4 types of beach villas in Noku; Beach Villas (175sqm), Beach Pool Villas (220sqm), Beach Sunset Pool Villas (220sqm) and Beach 2 Bedroom Pool Retreat (400sqm). 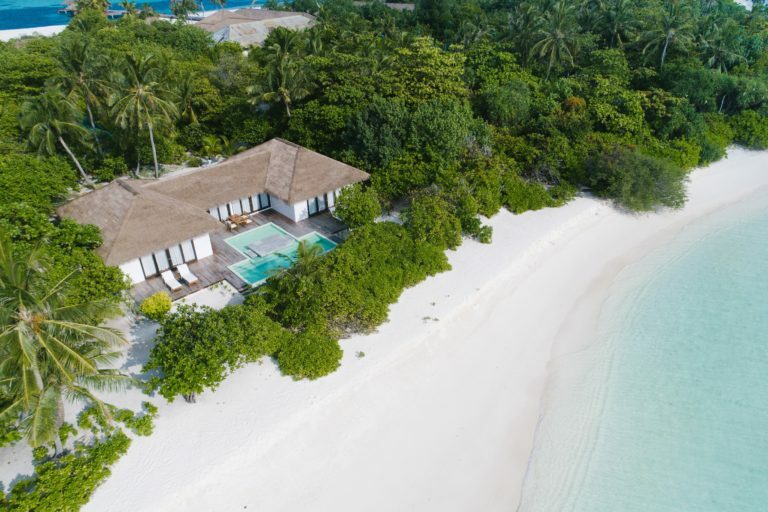 Noku’s beach villa is one of the biggest in Maldives. 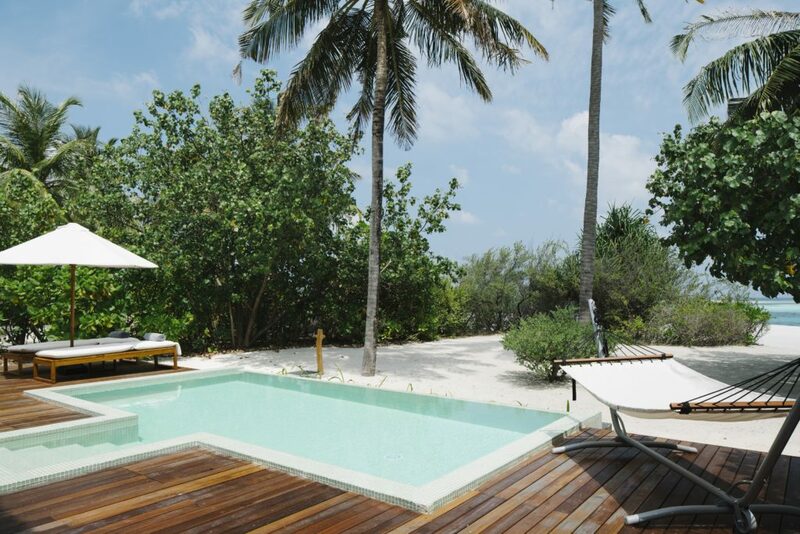 All the beach villas are very private; embraced by lush tropical greenery. 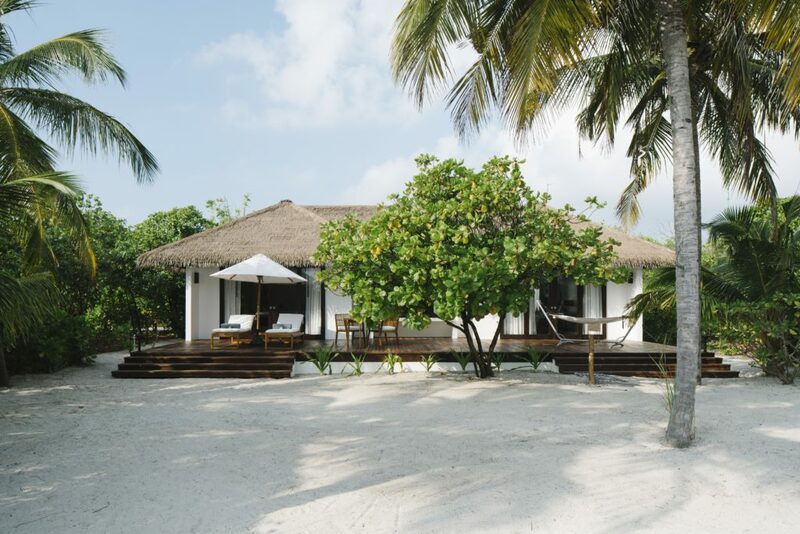 All the beach villas have direct access to the beach and enjoy a visual treat of a Maldivian sunrise or sunset. 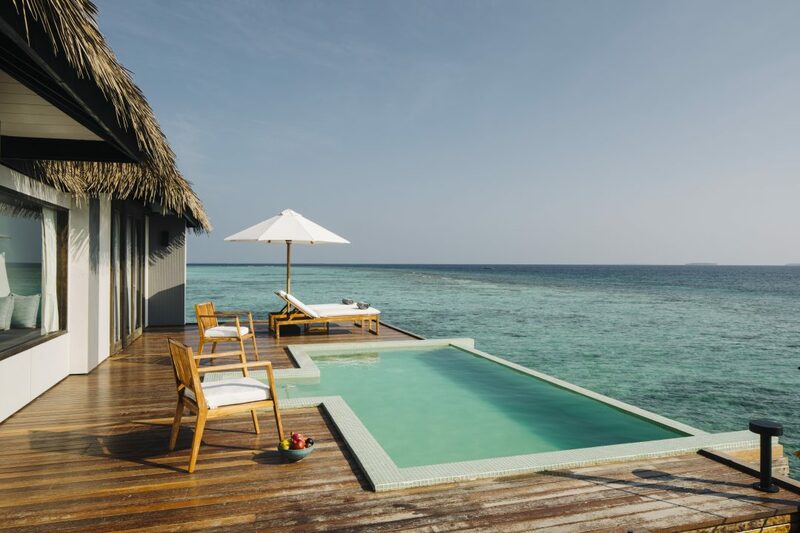 Above the calm blue waters of our private lagoon are the Water Villas that offer privacy from the main island. Calm white interiors open up to panoramic views of the cobalt sea and sky. 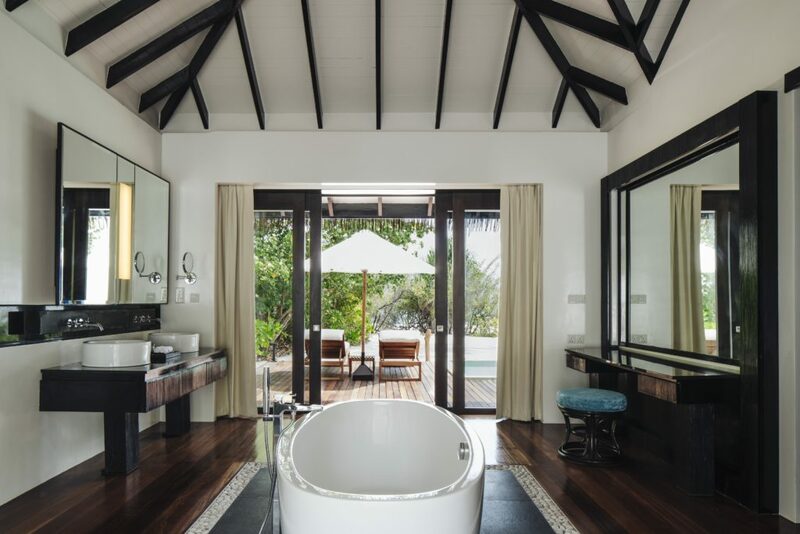 Swim in the sea, sunbathe or have a peaceful soak in the tub. 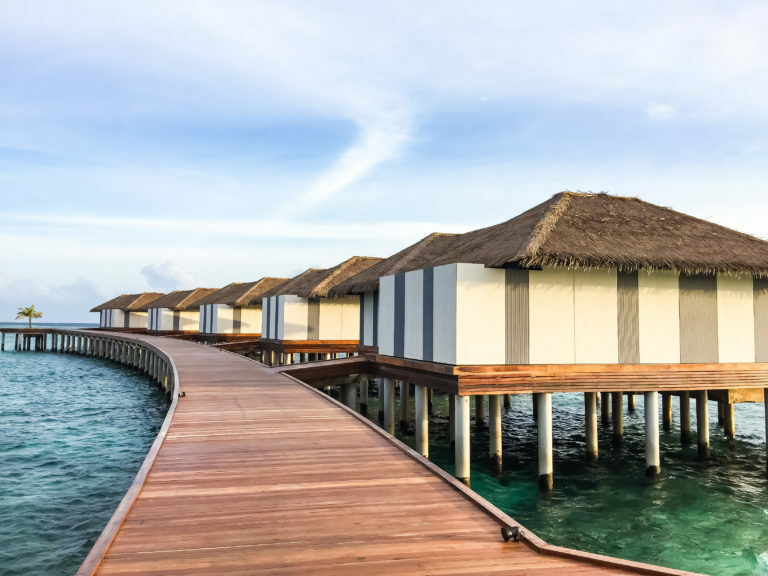 There are 4 types of water villas in Noku. 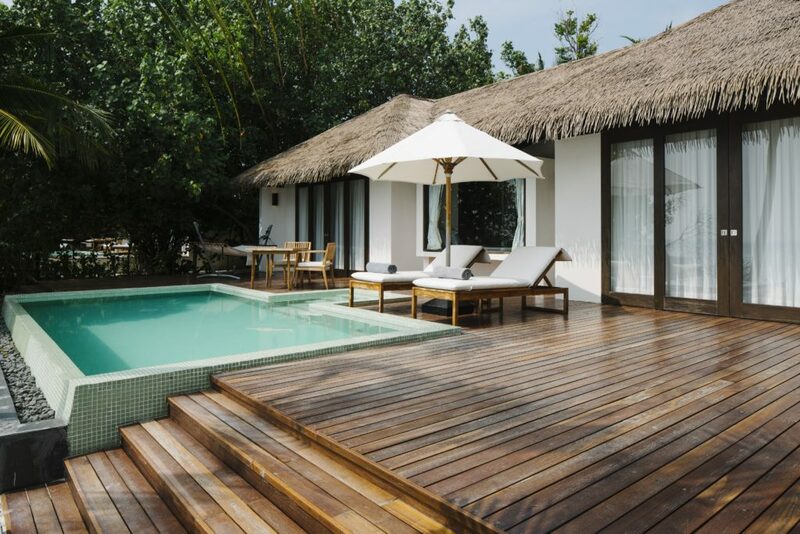 They are namely the water villa (186sqm), water pool villa (190sqm) and water sunset pool villa (190sqm). All the water villas have unparalleled views of the Indian Ocean. 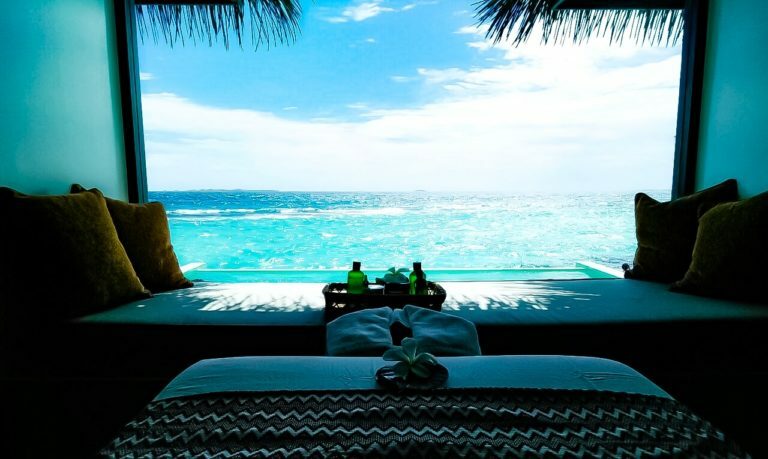 Just like any any other top Maldives resort, there is a spa in Noku. 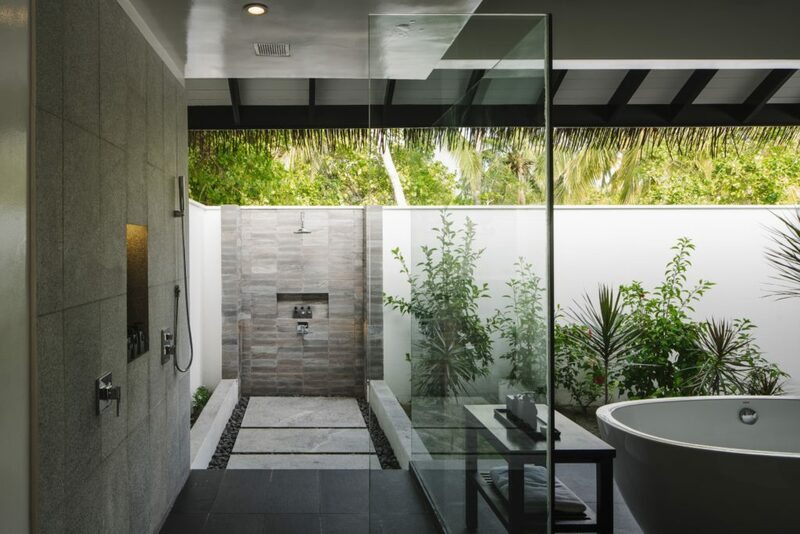 Their wellness treatments use the natural ingredients to enhance total wellbeing. Each treatment room is thoughtfully designed as a sanctuary where stone and wooden accents achieve a deep sense of calm and relaxation. 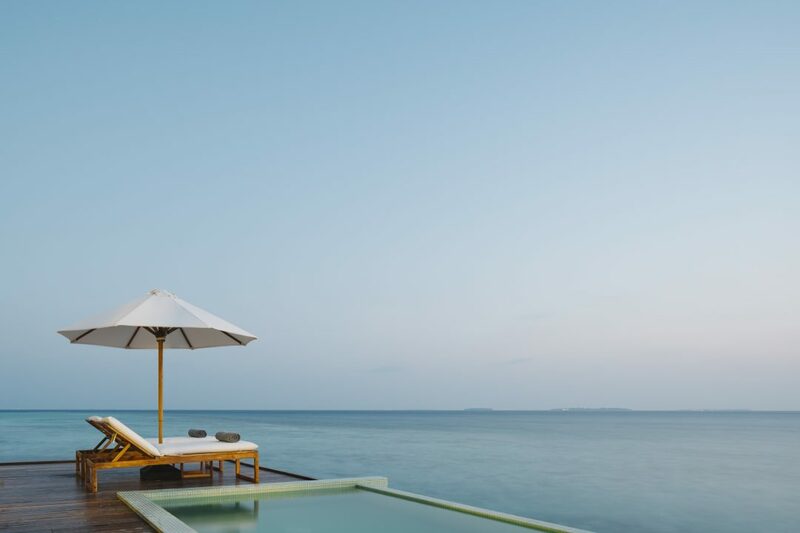 There are two main restaurants and two bars in Noku Maldives. 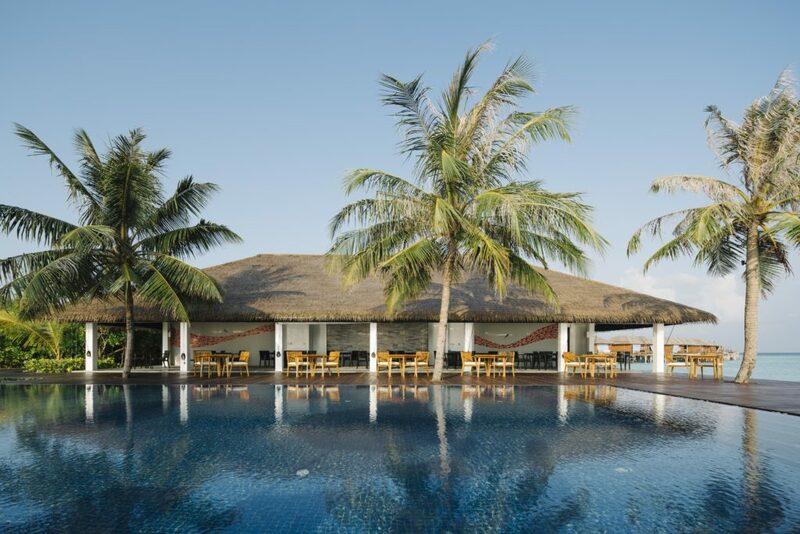 Palms restaurant serves up à la carte and buffet-style dining that are lovingly prepared by Their culinary experts. From SGD 1815 Per Pax Only !